If you are a regular or special education teacher, counselor, instructional coach, or paraeducator, you can use these two books in combination to develop effective and positively focused classrooms. In The Tough Kid Book (2nd ed. ), you will earn how to structure your classroom to ensure success for Tough Kids and use proactive, practical techniques for managing difficult students. This second edition features an all-new chapter on returning Tough Kids to the general education classroom and includes the Teacher Pleaser Social Skills and Teacher’s Expectation Programs. 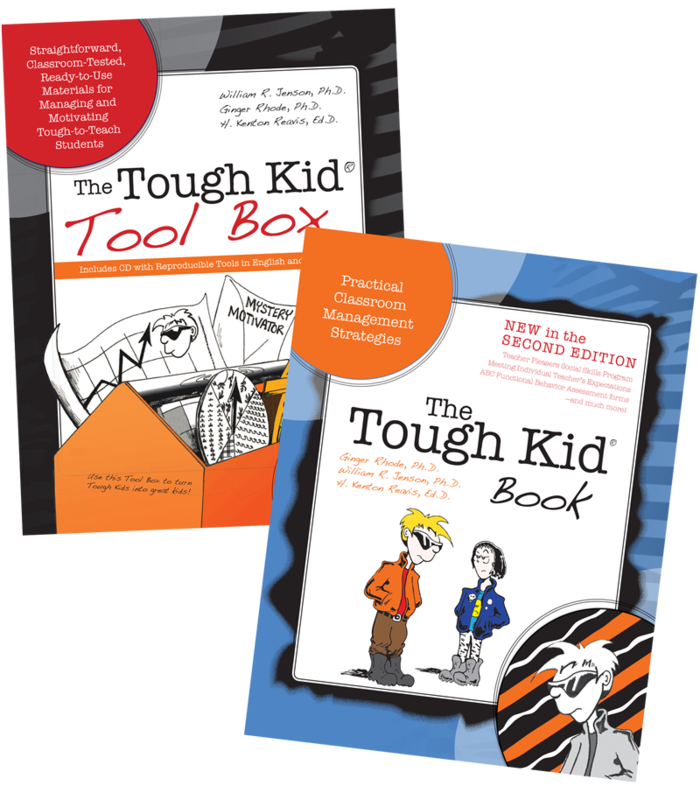 The Tough Kid Tool Box is the ideal companion to The Tough Kid Book. It supplies even more ready-to-use, classroom-tested materials to help motivate and manage your Tough Kids. Together in one convenient place, you will find forms, reproducibles, hints, and explanations to help you implement effective behavior management strategies. Now you can buy both and save! Start turning tough kids into great kids today!